In Europe, there are hundreds of such settlements, although the history behind the name may not always be clear. Delving into the history of these towns can give us a lot of information about ancient cannabis use – along with a visual clue to the etymological evolution of names for cannabis, which occurred as knowledge and cultivation of the plant spread throughout the continent over time. The etymology of the modern word “cannabis” is uncertain. The English word comes straight from the Greek Κανναβις, but prior to that, history is a little murky. The eminent linguist Elizabeth Wayland Barber proposed that the word derived from an ancient Proto-Indo-European (PIE) root, *kan(n)aB-, and that the Greeks took their term for it from the Scythians or Thracians. Although early history may be hard to precisely determine, we can fairly confidently state that the traditional words for cannabis used in virtually every country in Europe ultimately descend from this root. The Italian canapa, the French chanvre, the Spanish cáñamo – of course, these seem fairly obvious. But amazingly, despite sounding completely different, the word “hemp” actually comes from the same root too! Let’s take a look at the geography of hemp place names in Europe, and in doing so, we’ll see how this etymological quirk came to be. First, let’s take a look at how the word for “cannabis” evolved along the Slavic linguistic branch. Slavic languages include Czech, Russian, Polish, Bulgarian, Serbian, Croatian and many other important Eastern European languages. The historic connection between the Scythians and the Slavic peoples of Central and Eastern Europe is strong. Historical evidence suggests a great deal of cultural and linguistic influence on the early Slavs by the Scythians – and some hypotheses even state that modern-day Slavic populations descend from Scythian and Sarmatian tribes that settled between the Danube and Volga Rivers, down to the northern shores of the Black Sea. Generally, Slavic words for cannabis follow a distinct pattern, all based on the root konop- (Russian konopljá, Czech konopí, Croatian konoplja, Bulgarian konop) – which is clearly similar to the PIE root *kan(n)aB-. Correspondingly, the place names associated with hemp take on similar patterns. About 40 km south of Prague lies the castle of Konopišt?, the Archduke Franz Ferdinand’s former hunting lodge. Hemp (konopí) was once grown throughout the grounds of the castle. The name Konopišt? apparently translates to “hemp field” or “place where hemp is processed”. There is little information available in English, but it seems that all of these small Polish villages are named for hemp. Records also indicate that the surname “Konopka” (found in Polish, Czech, Russian among others) derives from hemp. People with this name likely either came from settlements named for hemp, such as Konopki – or otherwise named for a bird well-known to enjoy hemp seed. 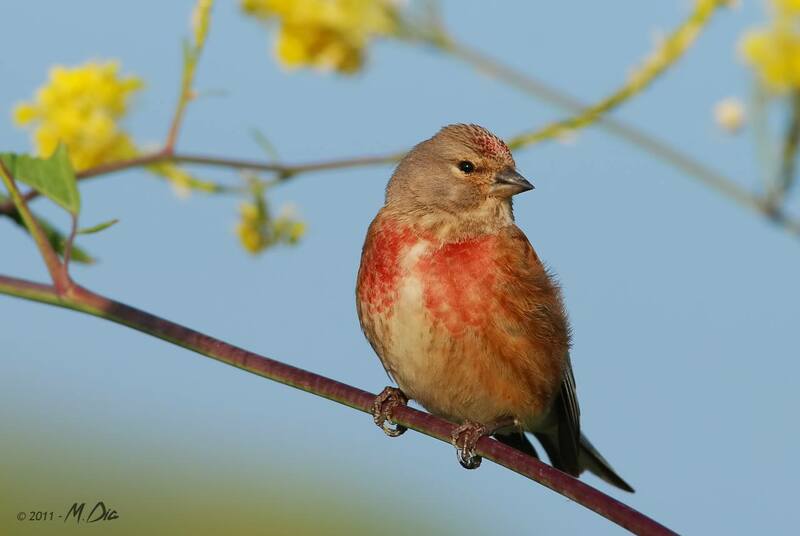 This bird is the konopka, or Linaria cannabina – and its Latin name also derives from its habit of eating hemp and flax seed! The Bulgarian word for hemp, konop, apparently gives its name directly to the modern-day village of Konop – but there is very little information as to its history and the origin of the name. However, Bulgaria has a long, rich history as one of Europe’s leading hemp producers (and is now the number one producer in Europe). While current information is difficult to find, a look at some historical evidence throws up some interesting information. In the year 920, records point to the existence of a large and important port town known as Konopa, which was situated between the mouth of the River Danube and the city of Varna, on the coast of the Black Sea. The town was apparently well-established, and may have existed for centuries by this time – although there appears to be little trace of it today. Its name, apparently meaning “hemp-town”, certainly indicates the importance of hemp. Furthermore, it lay in a fertile, marshy zone at the edges of the historic Scythian empire, and thus would have made an ideal site for the development of an hemp-based settlement. Here’s somewhat of an anomaly – Estonian isn’t actually a Slavic language. It’s not even a Baltic language like Lithuanian or Latvian (which are also not Slavic, but are so closely related that both belong to the Balto-Slavic group). In fact, it’s not even Indo-European at all, belonging to the mysterious, older linguistic group known as the Finno-Ugric. But due to its geographical and cultural proximity to other linguistic zones, it seems to have picked up its term for cannabis (kanepa) from its Baltic or Russian neighbours! This is reflected in the village named Kanepi (“of hemp”), which was an important traditional hemp-growing location. The Romance linguistic zone comprises Italy, France, Spain, Portugal, Romania, and parts of Switzerland and Belgium. Directly descended from Latin, these languages all have obvious similarities, including their words for hemp. Canepina is a comune (municipality) in the province of Viterbo, 60km or so northwest of Rome. Its name derives directly from the Italian word for hemp, canapa; it was originally named Canapina, demonstrating its etymological derivation even more clearly. Canepina was widely known as a major site for the processing of hemp and the production of hemp goods including paper and textiles. Historical records suggest that the comune was established in around 1600, when the hemp industry in Italy was already highly developed and productive. In 2016, Canepina’s long history of hemp production was highlighted with the event “I Love Canapina – La Canapa In Mostra” – which will return again on May 20th & 21st, 2017. Furthermore, anyone visiting Canepina for its hemp history should make sure to visit Agriristoro Il Calice e la Stella, a highly-rated restaurant with a menu based on hemp and a very knowledgeable owner! Cañamares is a municipality of just over 500 people in Cuenca, in the autonomous region of Castile-La Mancha, Spain. Cañamares was greatly important as a regional centre for production and processing of hemp – so much so that its coat-of-arms proudly displays three healthy hemp plants! Clearly, Cañamares has existed for some considerable time. “A New Dictionary, Spanish & English” (1726) by John Stevens contains the entry “Cañamar, a field where hemp grows. Also the name of a town in the bishoprick of Cuenca, and the surname of a family in Spain”. In France, there are several towns whose names pay homage to a history of hemp production and processing. In fact, there are two towns both called Chennevières – Chennevières-lès-Louvres, in Val d’Oise, northern France, and Chennevières-sur-Marne, a comune in the southeastern suburbs of Paris. Both clearly indicate their historic association with hemp on their coats-of-arms, just as in the Spanish town of Cañamares. Here’s another interesting anomaly – Hungarian isn’t a Romance language (it’s Finno-Ugric, like Estonian), and Kenderes doesn’t come from a Latin root. Instead, it’s derived from the Turkic linguistic group, which includes Turkish, Crimean Tatar, and Azerbaijani. Due to the great cultural influence of the Ottoman Empire, the Hungarian word for hemp, kender, comes directly from the Turkish kendir – which still ultimately derives from that PIE root, *kan(n)aB-. The name Kenderes itself apparently translates to something like “he who has got hemp”, and is both a place name and a surname. Then we have the final of our three main linguistic groupings – the Germanic. This branch is particularly interesting, as it’s here that we see how the word *kan(n)aB- has wound its tortuous way over the millennia to become “hemp”. It is thought that the root *kan(n)aB- mutated slightly to become *hanap-, which then became the Proto-Germanic *hanapiz, from whence came the Old English haenep, Middle Dutch hennep, and Old High German hanaf. From there, we derive the modern forms hemp, hennep and Hanf. The city of Hennef in Germany is perhaps the largest and most important settlement directly named after hemp, and with a verifiable history of hemp production. It has existed for over a thousand years, and in that time it’s actually possible to see dramatic etymological evolution. When the town was first mentioned in 1064, it was known as Hannafo. Since then, it has been known variously as Hanapha, Hanfbach, and now Hennef. Hennef has been recognised as an important hemp town throughout its history, and in recent years has hosted several significant international conferences and events related to cannabis and hemp, including the CannaBusiness Expo, which ran from 1996 to 2003. Interestingly, it seems that the very well known Hemel Hempstead in England is actually named for an individual called Hemp, and not because of a history of hemp production. However, there are several other Hempsteads in England, which do appear to be named for historic hemp production. In Scotland, one can find the small town Hempriggs; historically, there was a town known as Hemphill, also in Scotland, which no longer exists but which has left its trace behind in the form of a relatively common surname. Another interesting anomaly, and the third of the Finno-Ugric languages to exhibit this idiosyncrasy. It seems that all the Finno-Ugric languages of Europe have taken their word for hemp and cannabis from a nearby and influential culture – the Estonian kanep from Balto-Slavic roots, the Hungarian kendir from the Turkic, and the Finnish hamppu from the Germanic. This may well indicate that the Finno-Ugric cultural zone was unaware of cannabis prior to its introduction by the Proto-Indo-Europeans! This idea is backed up by Elizabeth Wayland Barber herself, who noted that “no common Uralic word is known… the only common Finno-Ugric word for such a plant (Vogul polna ‘hemp’… seems to be equally usable for any fiber plant”. In any case, it seems that the word for hemp has been directly taken as the name for this small, insignificant rock in the middle of the Aura River near the city of Turku, although there does not appear to be an available explanation as to why! 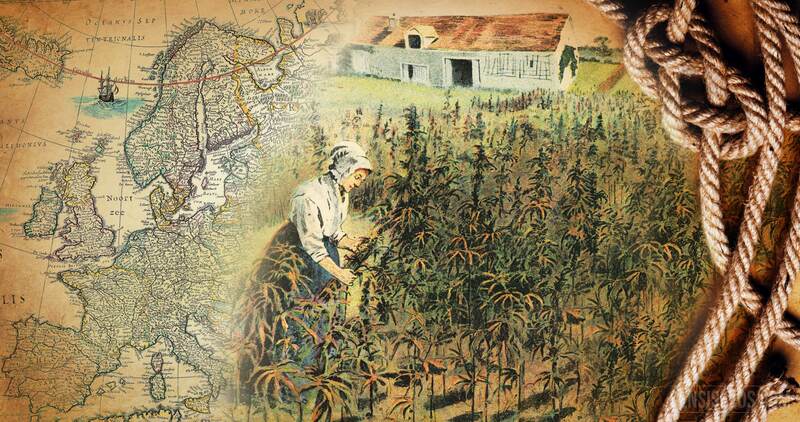 The post The Historic Hemp Towns of Europe appeared first on Sensi Seeds Blog.